Written by Richard Rodgers and Lorenz Hart, Roy Ross and his Orchestra released an instrumental fox trot entitled, Bewitched. The B-side was Where in the World? featuring vocals by Eddy Wells. Bewitched peaked at #28 in the U.S.
Amahl and the Night Visitors was composed by Gian Carlo Menotti and premiered on December 24, 1951. This was the first opera composed for television in the United States and debuted at the NBC studio 8H in Rockefeller Center, New York City. Set in Bethlehem in the first century after the birth of Christ, this opera is one act long. In a twist of the legend of King Midas who turned everything he touched into gold, John Midas is a young boy who through a magical gift, everything he touches to his lips turns to chocolate. It is quite the predicament for a boy whose doctor warns him that he needs to change his diet and eat more healthy foods. Predictably, John gets sick of chocolate and begins to view nutritious foods as delicacies. So how does he rid himself of this Chocolate Touch? The Chocolate Touch is an illustrated children’s book written by Patrick Skene Catling and at first illustrated by Mildred Coughlin. A “newly illustrated” edition (also released in 1952) had a longer story and new illustrations by Margot Apple. Before music charts even existed, Bob Hope, Margaret Whiting, the Starlighters and Billy May and his orchestra collaborated for the single Hot Cookin/Blind Date. The Starlighters provided the chorus while Hope and Whiting did the duet vocals. May and the orchestra obviously handled the music. Home Cookin was written by Sid Robin. Blind Date was the B-side and written by Jay Livingston and Ray Evans. The Key is a British-American war film set in 1941 during the Battle of the Atlantic. It was based on the 1951 novel Stella by Jan de Hartog (later republished as The Distant Shore and The Key). William Holden, Sophia Loren and Trevor Howard star. During the war, successive British tug boat captains sent on dangerous salvage mission pass on the key to a home-port flat where a lonely Swiss-Italian young war-widow (Loren) lives. The latest captain (Holden) struggles with his conflicting fears and affection for its apparent jinx. Ivory Tower was a popular song in the 1950s that was written by Jack Fulton and Lois Steele. In 1956, Cathy Carr went to #6 in the U.S. Carr was an American singer born in the Bronx and became a singer and dancer with the USO. Ivory Tower was her third record for Fraternity, proving that the third time can be a charm. It was her only major hit record. Her final single was released in 1967. She died from ovarian cancer on November 22, 1988 at age 52. Written by Lil Armstrong and Avon Long, Bad Boy was a hit for the Jive Bombers in 1957. It appeared in the 1990 film Cry-Baby. charts. 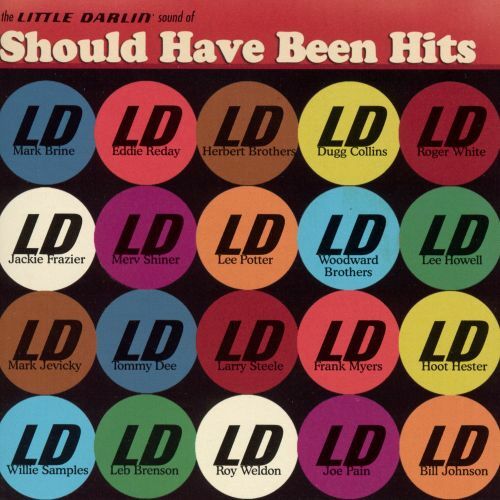 Should Have Been Hits is a collection of 20 tracks by various artists that are rarities, forgotten hits or unknown songs recorded by Little Darlin Records artists. Standout song are Down at Kelly’s by Joe Pain, Hot Rod Race, Nacy Style by Woodward Brothers and In the City by Lee Potter. 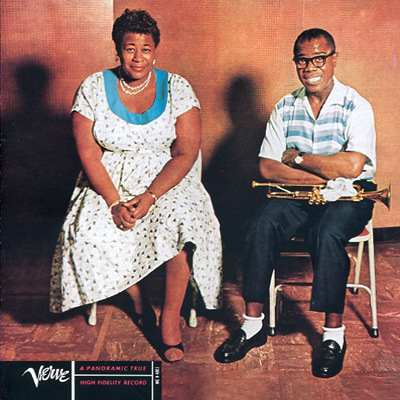 Ella and Louis was a 1956 studio album by Ella Fitzgerald and Louis Armstrong, accompanied by the Oscar Peterson Quartet. The pair had previously recorded for the Decca label in the late 1940s. This was their first (of three) collaboration albums they recorded for Verve Records. They followed up with Ella and Louis Again in 1957 and Porgy and Bess in 1959.